Dwarf Hotot's are such a fun breed to raise. I am currently working on Black banded's, but once in a while a piebald will pop up in the litters. 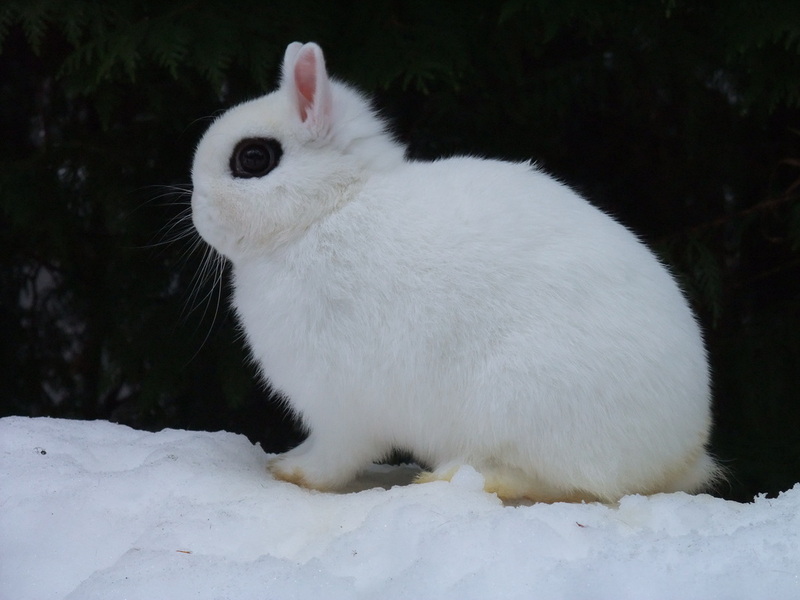 The Dwarf Hotot breed come from the Netherland Dwarfs, Blanc D' Hotots (the Meat breed ones, but look just like Dwarf Hotots), and Dutch (thats where the piebalds come from). Note: I do not stud out my bucks, due to diseases. But doe's I sell, I can breed to my buck's, because they have already been in my rabbitry, and I know the rabbit is free from diseases. 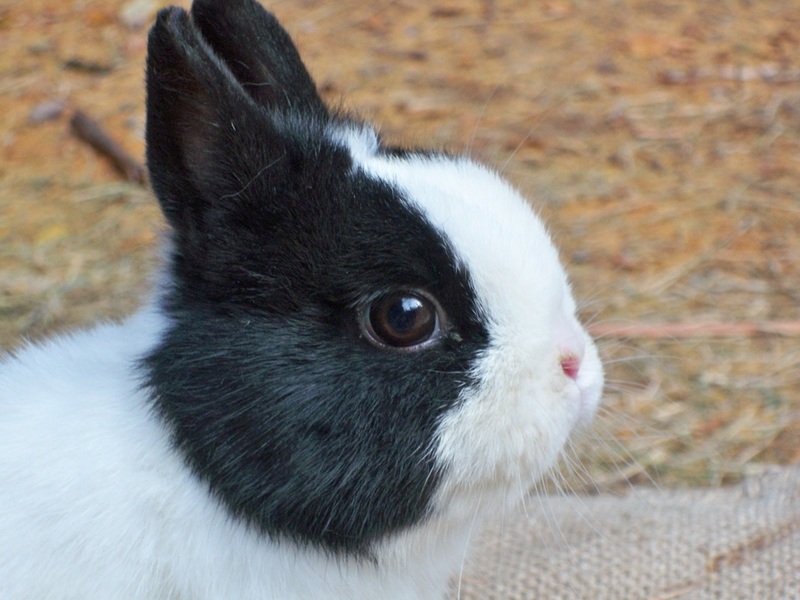 A Black banded - The Standard Colors (all white with the black rings around the eyes)- Awesome Show and brood rabbits- These are one of the only colors that can show in ARBA Rabbit show's. A Piebald - The Dutchmarked color (Black and White spotted) - These make perfect brood bunnies - This color is NOT a showable color in ARBA but can be shown in 4H! 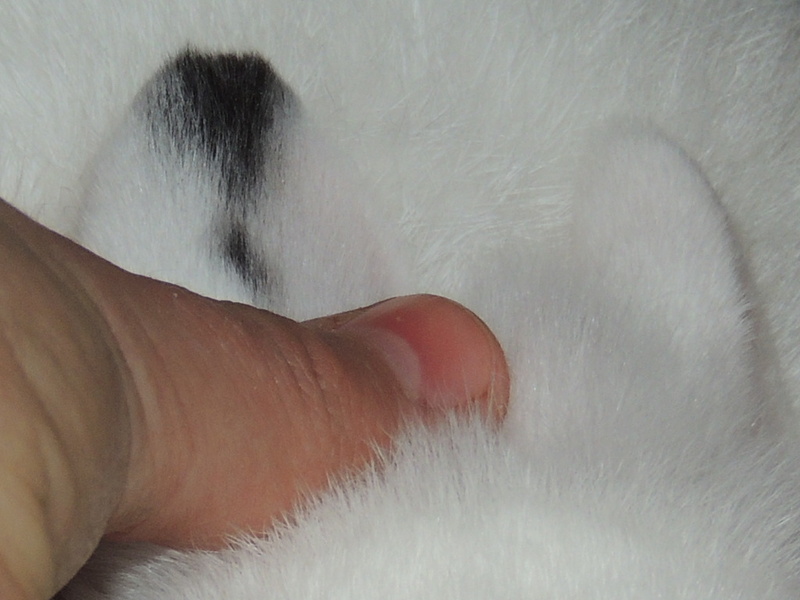 A Black banded Sport- The standard color, but has extra black spots, such as behind the ears, you will find black spots, and this color also can't be shown in ARBA, but can be shown in 4H. Gabriel is a gorgeous buck. He is narrow in his shoulders, and weak HQ's, but he has a fantastic head. He also has a perfect eye band, and great sized ears, but they are a little thin. He has produced some of my best stock! I love him! Angel Kiss is a very beautiful little Doe. She turned out VERY nice! She's beautiful, beautiful, beautiful! She's a perfect example of the Dwarf hotots I am working on! Dove is an beautiful doe! I love her bands. She has nice HQ's, but is a tiny bit weak in the shoulders. She has a very nice head/ear. I hope I can get a litter from her, though shes giving me a heck of a time lifting for the buck, she wont take. Since these pictures were taken she sure did change and is filling out much nicer.